Trivitron Healthcare has won “Medical Equipment Company of the Year for 2016” awarded by Assocham one of the Top Three association of Industries in India . This award function was held at Hotel Le-Meridien, New Delhi on 10th March 2016 during Medcon event organized by Assocham with Shri Hansraj Gangaram Ahir, Hon’ble Minister of State, Minister of Chemicals & Fertilizers, Government of India as the chief guest of the event. 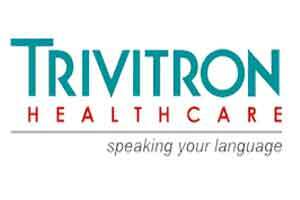 Trivitron Healthcare, through successful organic growth and inorganic acquisitions with local and global firms, has group strength of over 1500 employees and Group Revenue of more than Rs. 700+Crores. The company has done investments of Rs.500+ Crores in medical device manufacturing sector and is the largest medical technology company of Indian origin, having 8 manufacturing facilities spread across Chennai, Mumbai, Pune and Helsinki- Finland and products exported to over 165 countries.